Added efficient solar hot water alongside my existing PV system! 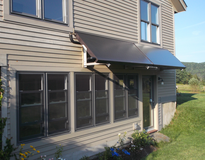 Roof space was taken with PV panels, so I mounted the solar hot water collectors "awning-style" on a south facing exterior wall. Besides providing solar energy my collectors provide passive shading in the summer! Minimal after initial kinks were resolved. 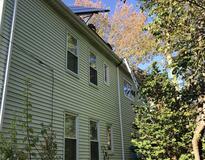 I have a PV system as well. Environmentalism- global warming- reduction in burning of fossil fuels. Decrease natural gas fuel bill. Increase value of my house. Look at solar hot water as an efficient, affordable option or addition to a solar PV system. Installer was professional and timely. No issues with the one day installation process.